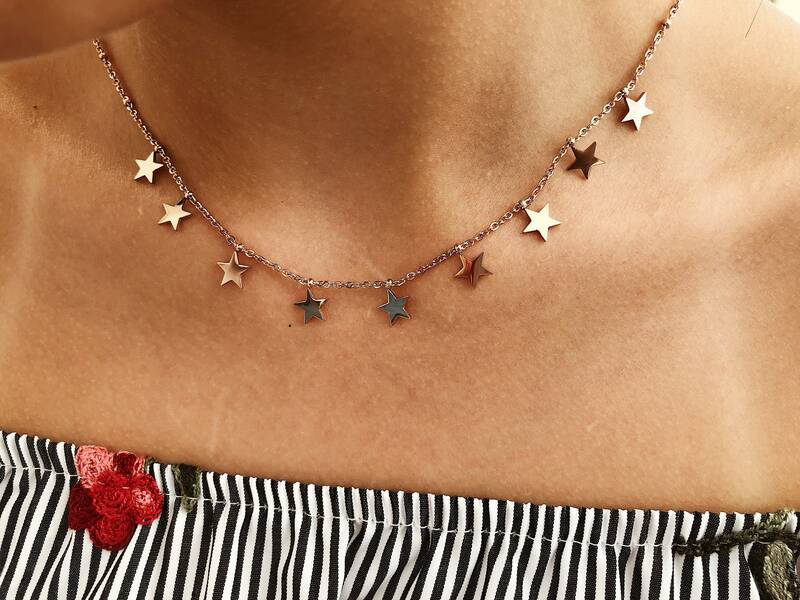 Jewels with the stars are the must of the year! In this section you will find many silver and steel models including necklaces, bracelets and earrings ... To shine like a star! The necklace for sale is made of rose-colored stainless steel. It is composed of small, always rosy hanging stars. The chain is made of steel with small beads. The length of the necklace is about 45 cm, a classic choker.